Ferrari will unveil two new models at the Goodwood Festival of Speed 2014. 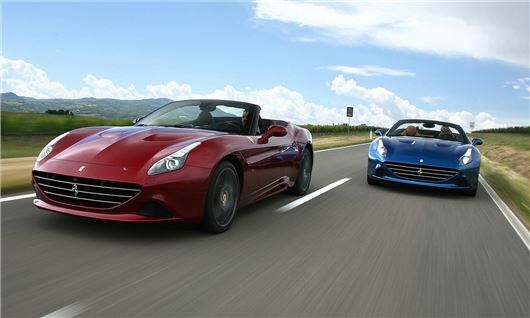 Ferrari’s turbocharged grand tourer, the California T, will be showcased at this year’s event alongside the new 458 Speciale. The Italian manufacturer will also showcase its F1 cars, with live demonstrations, and host a special event with Kimi Räikkönen and John Surtees. The facelifted California T is a hugely important addition to the Ferrari, as it's powered by a new 3.8-litre twin-turbo V8. The California T is a thorough facelift of the existing model and gets some significant changes including a twin-turbo engine. The direct injection unit replaces the 4.3-litre naturally aspirated engine in the outgoing California to become the first production Ferrari to feature a turbo since the F40 in 1987. The 458 Speciale is Ferrari’s latest mid-engined V8 sports car and boasts 600PS and a 0-62mph time of just three seconds. Both Ferraris will be on static display on the manufacturer’s stand and in action on Goodwood Hill. The F12berlinetta, which made its UK debut last year, will also return to Goodwood and be in action across the weekend. Ferrari will also be showing off its F1 team and demonstrating the 2009 F60 Formula 1 car driven by ex-F1 driver, Pedro de la Rosa. Special guests Kimi Räikkönen and John Surtees will celebrate the 50th anniversary of the latter’s F1 Championship title in a special celebration event on Sunday. Each will drive their respective Championship-winning cars - Räikkönen his F2007 and Surtees a 1964 158 F1.